Waste management group CSG is planning to expand its successful apprenticeship training programme. 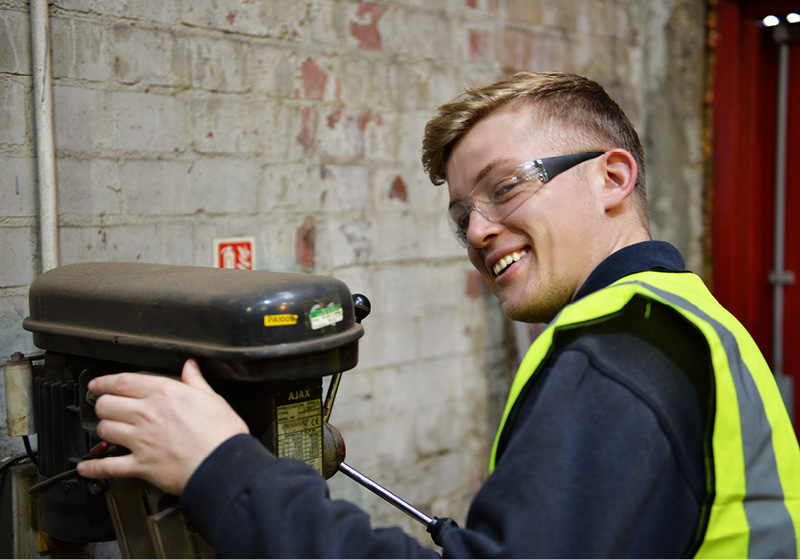 The Fareham-based company currently has apprentices working in its service and maintenance and driving departments who are successfully combining external and workplace training leading to approved technical qualifications. The latest member of staff to complete a three-year apprenticeship is 22 year-old Daniel Fairhurst who works as an on-site electrician at the company’s hazardous waste treatment site in Cadishead. Daniel has achieved a City and Guilds Certificate in Electrotechnical Technology at Levels 2 and 3 as well as an NVQ/SVQ Level 3 in Electrotechnical Services which was assessed in the workplace by Salford College tutors. Group HR Manager, Leanne McGinty has said that CSG was committed to investing in and developing the skills of young people seeking a career in the waste management industry. She added that the introduction of the government’s new apprenticeship levy was a positive move that would support the Company in its plans to expand their apprenticeship schemes. The levy, which begins this month, requires all companies with a wage bill of over £3million to pay 0.5% of their total wage expenditure into a ‘pot’ which is accessed by employers online through a portal and can be used only for approved apprenticeship training.